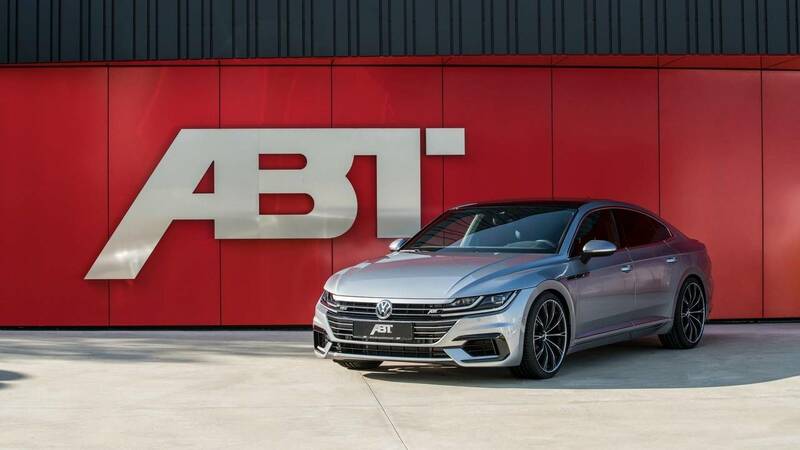 Volkswagen isn't selling an Arteon R, but the tuners at ABT have a pretty good substitute. With the kit installed, the gasoline unit can develop a healthy 336 hp or 56 hp more than the stock engine. The good news doesn’t end here as the amount of torque available has also been substantially raised from the standard 350 Newton meters (258 pound feet) to a meaty 420 Nm (310 lb-ft). 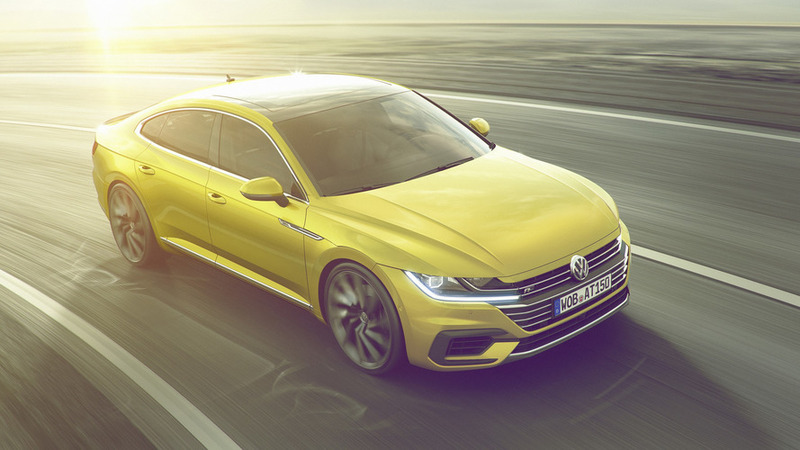 While ABT isn’t sharing performance numbers just yet, you can easily imagine the massive power boost has lowered the sprint time compared to the regular Arteon that needs 5.6 seconds until 62 mph (100 kph). The top speed limiter is likely still in place, which means the CC’s successor still can’t go beyond the electronically governed 155 mph (250 kph). 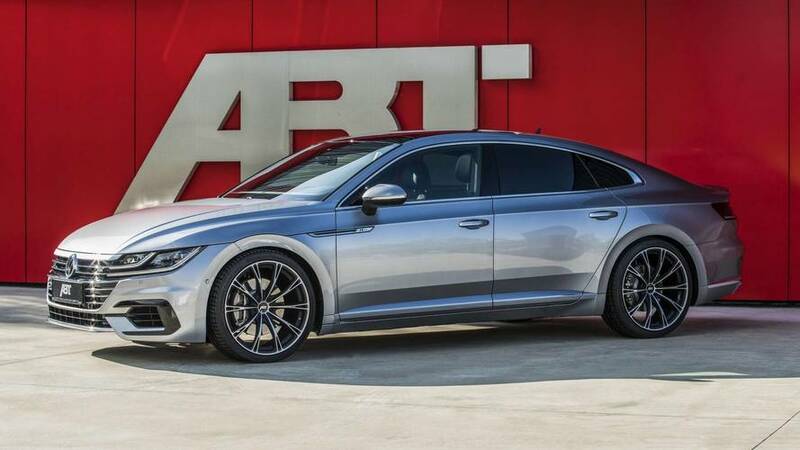 Besides fiddling with the 2.0 TSI, ABT has also installed stiffer springs lowering the sleek Arteon to give it a sportier look also enhanced by the custom 19-inch alloy wheels featuring a swanky two-tone look and wrapped in 245/40 R19 winter tires to make it ready for the upcoming season. Those willing to sacrifice some of the ride comfort can upgrade to a 20-inch set or can go all out by getting a larger 21-inch set. Sadly, there’s nothing to report in terms of the interior - perhaps the Arteon’s weakest point after being basically transplanted from the more mundane Passat upon which is largely based. The price difference between the two models is significant, prompting some to criticize VW for not putting more effort to spice up the Arteon. After all, it is the company’s flagship model in Europe.